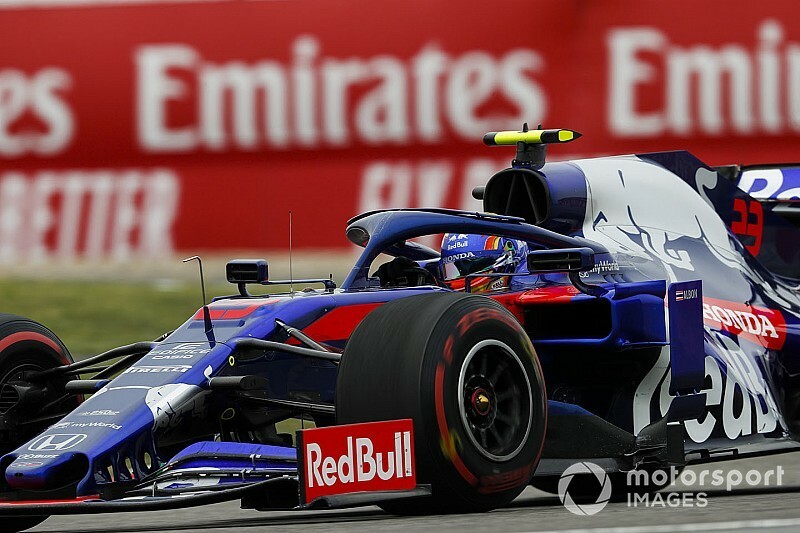 However, he pulled off a one-stop strategy to rise to 10th and bag his second point in a row, fending off the Haas of Romain Grosjean late on. Asked who told him he had been named driver of the day, Albon said: "My trainer. I was like, 'OK'. Honestly, when you're in the car you have no idea what is going on. I just drive around. "They told me I was P10, 'Grosjean is coming behind you in P11, you need to defend'. It didn't feel like an amazing [drive through the field]. OK, I did start last, but it wasn't like a crazy race. "So, I'm happy to get driver of the day. Saturday I was maybe worst driver of the day, so it was nice to come back strong on Sunday." However, he explained that once the race start they noticed that the tyres were "degrading faster than most people thought". "It was always going to be tight, we knew that," Albon said. "But we went for it. The last few laps were a bit nerve-wracking, but I am really happy with the result, especially after FP3. "It was a bit of a disappointment, because we deserved to fight for Q3 in qualifying. Coming from Saturday I was a little bit down but the guys did an amazing job to get the car ready and I knew we could get the car into the points." Albon said he thought his tyres were "gone" with 10 laps to go and claimed his bid to keep Grosjean behind was complicated by being lapped because "you spend at least three corners behind them and the tyres just fall away completely". "I was a bit nervous at the end there," he added. "He definitely had a strong pace at the end of the race. I was surprised, because I knew he was going to catch me. The team told me he was going to be on my tail with four laps to go. "But following [me], he really overheated his tyres. I found that out early on when I was overtaking the cars in front of me. So I knew it was going to be difficult for him, but I'm also thankful the blue flags were coming. "Every time I heard new cars were coming, I was like OK, let them come'. I think a little bit of fortune, but we did a very good job."